If you want to find what the best puppy shampoo for Golden Retrievers is, you have come to the right place. After a careful examination of the market where we considered the quality and value offered by each option, Dr. Fox has concluded that the product to get is the Rocco & Roxie Calm. This option is made specifically for the tender skin of a puppy or for dogs with sensitive dermal conditions. It is made with Aloe vera extract to smooth and moisturize the skin. It contains only safe ingredients, making it a good choice if you are looking for a quality natural puppy shampoo. If the first choice is not available for sale, we recommend you consider the Paws & Pals Natural Dog instead. The shampoo is created to cleanse your dog’s fur without being too harsh. It can be used both on puppies and adult Golden retrievers. 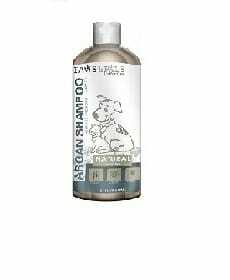 If the animal is suffering from allergies or has other skin pathologies, this shampoo can provide relief from itchiness and hotposts. It doesn’t contain any artificial colors or preservatives. Instead, it contains chamomile and an Aloe vera extract, which are both soothing. Some buyers say that it is more or less outperformed by similarly priced or less expensive products. This quality shampoo is made with natural ingredients and it’s perfectly safe for your Golden Retriever puppy. If you want to get an option that’s safe both for adults and for puppies and that can help dogs deal with itchiness and a variety of other skin problems, this Paws & Pals alternative might be worth considering. It contains essential oils from chamomile and rosemary, as well as a good helping of oatmeal and vitamin E. Additionally, this choice doesn’t remove topical flea and tick products. It has an integrated conditioner. Its scent is not really powerful, and while that might bother humans, it’s actually pretty good for puppies. The Paws & Pals Natural choice is great if you want both a shampoo and a conditioner for puppies and adults. The moisturizing formula boasted by this option should convince you that it is more than capable of cleaning and maintaining the coat of your Golden Retriever puppy. It is pH-balanced and doesn’t contain any parabens or sulfates, so it is perfectly safe to use. The shampoo is suitable for dogs that are older than eight weeks, so do keep that in mind. If your puppy tends to get dirty while playing outdoors, check this one out. Detangling your dog’s coat isn’t necessarily made effortless by using this particular shampoo to clean the fur. This product makes for a great option if your puppy tends to get quite dirty when he or she is playing outside. To make it easier for you to identify the right product for your needs, we have gone and analyzed the most popular reviews of puppy shampoos for Golden Retrievers to give you a list of the top-rated models currently available on the market. Below you will find the options that stood out due to their quality and affordability. 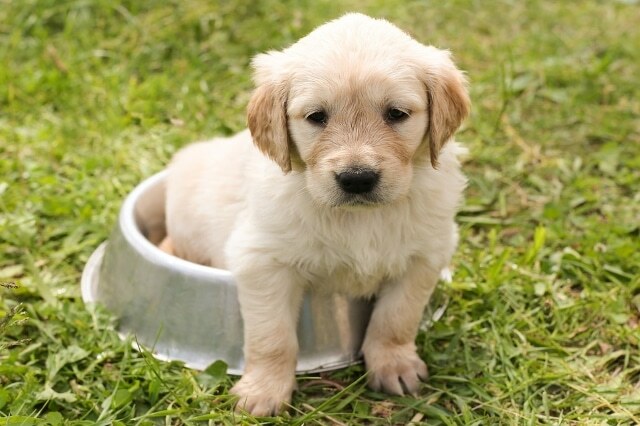 This versatile choice can be used both on puppies and adult Golden Retrievers. It is made to care for the tender new puppy skin or for adult dogs that have dermal conditions. The shampoo is formulated to cleanse while also being extra gentle. It will prevent tears or angry allergies so that your pet can enjoy a calming bath experience. It features nature’s best ingredients such as Aloe vera extract which will smooth the cuticle surface and seal in moisture for the skin and coat. The restorative rosemary will help stimulate follicle grown while the gentle chamomile will give a calming effect. The formula is also easy to shampoo in and easy to rinse once you are done. Since this option features the use of only natural ingredients, the shampoo does not contain dyes, drying alcohols, or parabens that could mess up with your dog’s endocrine system. This calming option is guaranteed to make your furry friend feel and look his or her best. The Paws & Pals option is one of the top-rated shampoo and conditioners currently on the market, and for a good reason. For starters, you get the benefit of also having a conditioner for your pet so that you get two products for the price of one. 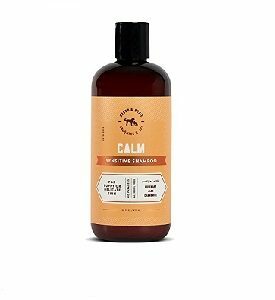 Because it contains essential oils such as chamomile and rosemary, combined with vitamin E and oatmeal, this unit will also work as an alternative to dog shampoos for itchy skin. The ingredients will reduce many of the signs and symptoms of skin irritation. The formula is so well-thought that even veterinarians recommend this coat care regimen. Customers are in love with the fact that this product is reasonably priced, meaning that you will not have to pay too much for a quality product. What’s more, if you haven’t yet found the right flea and tick collar, this option will relieve painful and itchy skin caused by flea and tick bites. If you want to give your pet a memorable experience so that he can feel like he just left the dog day spa, the BioSilk Therapy Whitening is designed to care for your dog’s luxurious locks, using innovative technology and classic ingredients. If you are looking for a quality puppy shampoo for dry skin, the moisturizing formula of this model will please you. The use of enriching vitamins and silk that work hand in hand will help restore the moisture balance of your Golden Retriever’s coat. It will also clean gently for brighter colors and a noticeably well-groomed dog. The advanced formula is pH-balanced for dog’s hair, and it does not contain sulfates and parabens. What’s more, the shampoo is suitable for all dogs and puppies that are eight weeks of age and older. This means that once your pup grows, you will not have to go prospecting for another product that your pet might not even enjoy. 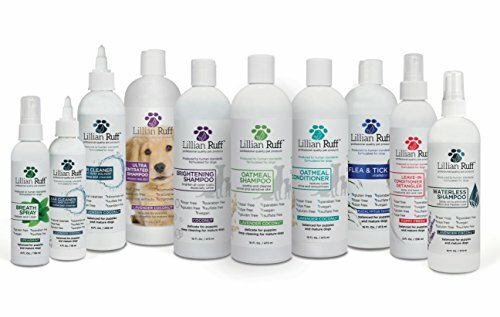 If you want to get a quality set that will give you all the grooming products your pet will ever need, the Lillian Ruff option contains a brightening shampoo and an oatmeal conditioner to keep your Golden Retriever happy and clean. The coconut brightening shampoo will add shine and luster while also whitening all color coats. If your dog suffers from itchy and dry skin, or has allergies that can be frustrating, the calming ingredients of the conditioner will moisturize the sensitive skin and provide the relief that your pet deserves. The formula is so gentle that it is safe for all sensitive skin types. The coconut scent will deodorize and help calm your pet during bath time which can often be a stressing event. 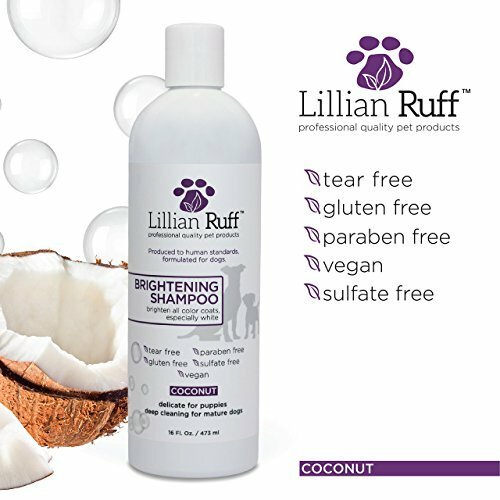 What’s more, if you’re worrying about tangling and fly-away hair, you can now give your favorite vacuum for dog hair a much-deserved break since the Lillian Ruff shampoo will help keep your dog’s coat under control. The Healthy Breeds shampoo stands out from the rest of the products on our list due to the low price point that makes it a very affordable option without sacrificing quality and efficiency. Since this is a deodorizing model, it is capable of eliminating unpleasant odors, rather than just covering them up. 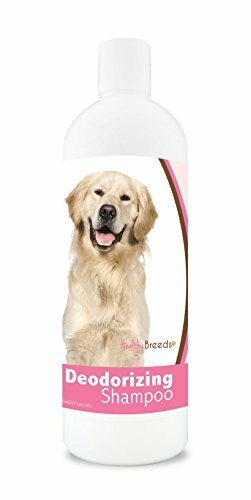 The formula is pH-balanced so that your Golden Retriever can enjoy a gentle cleaning. This alternative also contains essential fatty acids that will nourish and aid in the scaling and flaking of the skin. By using natural moisturizing factors, this shampoo will help promote the hydration of your dog’s coat and skin. Because it uses a hypoallergenic formula, it is safe for use even if you are following the latest dog flea treatments. The Healthy Breeds model is soap-free, and it does not use any harsh chemical substances that could cause your Golden Retriever to experience nasty symptoms. As a plus, this unit can also be used on adult dogs. Finding good puppy shampoos for Golden Retrievers can seem a bit difficult at first, but once you equip yourself with the required knowledge, making a decision and narrowing down on your options will become much more manageable. This is why doing your research is a must since that is the only way to identify the critical factors of consideration. If you are short on time but you still want to make an educated purchase, there is no need to worry. We have gone and read numerous reviews, consumer reports, and surveys to show you what are the key features to bear in mind when looking to purchase a puppy shampoo for your Golden Retriever. Puppies, in general, have a very sensitive skin, which is why you shouldn’t use options made for adults on them. If your pup has dry, itchy, or flaky skin, getting a moisturizing shampoo is an excellent first step to soothe these unpleasant conditions. Do keep in mind that if your pet’s skin condition persists or worsens, you should consult your veterinarian. 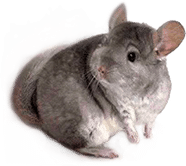 Even if your pet has no skin conditions, we recommend you avoid options that contain harsh chemicals since these can cause serious health problems. You can instead opt for shampoos that use natural ingredients such as oatmeal, vitamin E, rosemary, and honey. There is no need to worry that going for a natural alternative will somehow mean that you will get a product that is not as efficient as others. You should be glad to learn that modern products that only use natural ingredients can be just as capable as the cleaning options that feature harmful soaps and detergents, if not more. Since dogs have a way of getting into messy situations, even a short play session can end up with them dipping into garbage, food, and even mystery substances. As such, you can imagine how smell too can become a problem. For the active pups, we recommend you consider a deodorizing shampoo. Unlike other options that merely mask the unpleasant smell of your pet, a deodorizing option is a more powerful type that will eliminate unpleasant odors entirely, not just cover them up. Similarly, to keep the coat looking great, you can get a nourishing shampoo that is packed with vitamins and minerals to restore that healthy shine. If you want to get your pup the full grooming experience, you might want to consider getting a conditioner for his or her fur. Dog conditioners can smooth the hair and untangle those particularly frizzy locks. Some conditioners can even give a calming effect and relieve itchiness and soothe the skin. The good thing is that you will not have to look for long to find an affordable and quality conditioner for your Golden Retriever. Many options currently available on the market come with a mixed formula or set that contain both a shampoo and conditioner. Look for these alternatives if you want a straightforward purchasing process.